"Shop Your Carpets or We Can Also Deliver to Your Doorstep"
We believe quality and patent of the design is imperative when choosing laminate flooring. We buy our laminate in bulk to save you money. Laminate wood floors can be laid in all rooms, even bathrooms, if the correct product is chosen. Are Looking to Upgrade Your Floor? Looking for an affordable, low-maintenance way to upgrade your floors? Right Carpets & Flooring has an excellent selection of laminate flooring, including underlayment for laminate floors, so you can get the perfect look for your home. 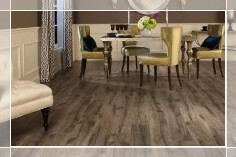 Enhance your new floors with laminate accessories. Toarrange a free no obligation estimate call us at any suitable time. We are available between 9:00 AM to 9:00 PM, 7 days a week.